Time is money. 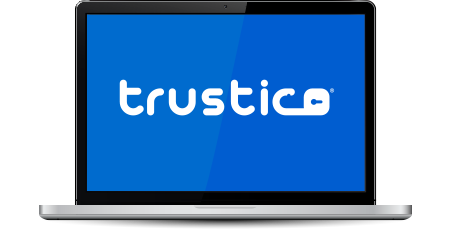 The quickest way to secure online business is with a Trustico® Premium Certificate and included trust seal. Trustico® Premium certificates use the highest levels of encryption and are compatible with all phones and devices. Secure your website and protect e-commerce transactions with bank-strength encrypted security. Trustico® Premium Certificates comply with the recommendations for SSL root key strength published by NIST, the US Government's National Institute for Standards and Technology. These are SSL Certificates that support 256 bit encryption and are signed with 2048 bit signatures. Your SSL Certificate can be purchased, validated and issued today! Get your online business secured quickly using our seamless validation process. All the major browsers and devices trust Trustico® Certificates, providing you with the highest level of security and compatibility with 99.9% of the world's internet population. When you buy a Trustico® Premium Certificate you can be confident that your SSL Certificate will be trusted by all modern devices and web browsers. Great News! Your SSL Certificate will be issued by Trustico® using our fully automated fulfillment system. Trustico® are a leading SSL Certificate Provider. Our pricing structure for Trustico® Premium is well below the recommended retail price. Buy for multiple years and the cost of Trustico® Premium works out to be excellent value at its lowest price of only $235.98 per year. Our unlimited reissuance policy for Trustico® Premium means that we will reissue your Trustico® Premium Certificate free of charge for the life of the SSL Certificate validity, for any reason. Trustico® Premium can be installed easily on any server that supports the use of an SSL Certificate. Trustico® includes the added benefit of Unlimited Server Installation licences and a $50,000 warranty.